Questions will be register from 6 P.M to 12 A.M (PST) on 11th February 2016. No questions will be accepted before and after the above mentioned given schedule. Singer/celebrity will not answer your questions register before/after the time schedule. Fans need to register questions along with their valid email addresses for receiving future gift relate to this session. 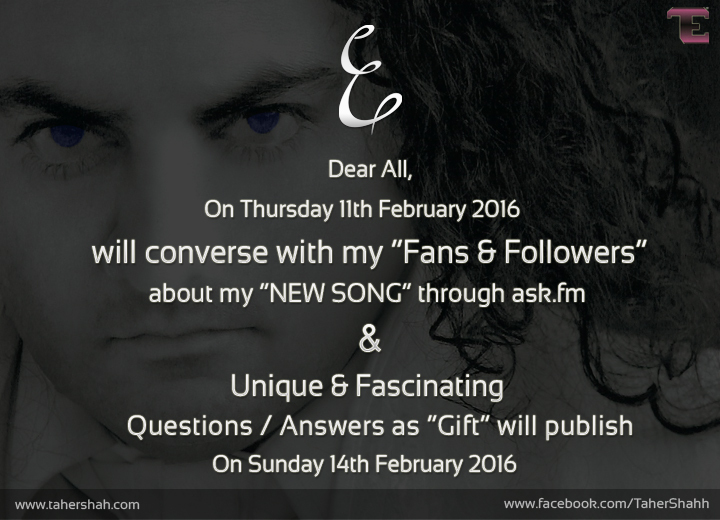 The list of selected questions along with singer/celebrity answers will be published as soon on official platforms. Selected questions/answers will win a surprising gift on 14th February 2016.